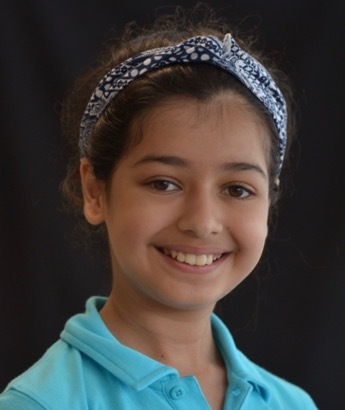 My name is Gauri Varma, I am 11 years old I’m from Singapore. I love Singapore. Global concerns like environmental pollution, overuse of plastics, dumping wastes in oceans bother me and I would like to do my bit to spread awareness regarding this. I am passionate about the cause and would like to spread awareness about single use plastics. I understand “Sustainability is a way of life and not as a fad”. I like reading (Harry Potter, Narnia and many other books) and am passionate about sports. Athletics, Touch Rugby and my absolute favourite Karate. I am currently preparing for my Black belt which is scheduled for September 2018. I would like to be a doctor or a scientist when I grow up. When I came to know about OMG, I was inspired by Carter and Olivia’s idea, anybody can make a difference. I have seen a lot of negative human impact in a few places and that has triggered the desire to spread awareness and reduce negative impact on the environment. I really don’t like the increase in poaching animals and use of plastic, so I really want to make it a point to limit/decrease the use of plastic and to stop poaching as much as I can.